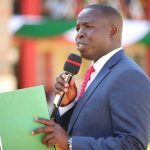 Over 170 reformed brewers, sellers and alcoholics successfully completed a one week program dubbed “Okoa Mlevi Initiative” organized by Mission of Hope ministries in collaboration with the County Government of Nandi and National Authority for the Campaign against Drug Abuse (NACADA). Speaking during the official closing ceremony, CEC Member in charge Trade, Investment and Industrialization Dr. Kiplimo Lagat congratulated the delegates for choosing to go through such a noble program and applauded the SDA church for the approach they took to deal with drug and substance addiction. The Department, through the Directorate of Alcoholic Drinks Control and Licensing, whose primary mandate is to regulate and control alcohol consumption, vowed to employ tough measures to control and regulate consumption and ensure that the county spend less money in future for rehabilitation. 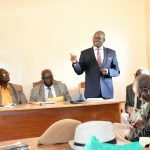 He noted that the government has so far reduced outlets selling alcohol across the county significantly by 54%. 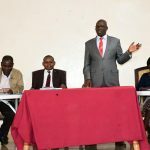 Dr. Lagat said that his department will continue working with other stakeholders such as NACADA and church to make Nandi an Alcohol Free zone, sustain the impact already felt and work closely with other county departments to ensure the reformed access alternative sustainable source of income. “We will prioritize awarding sewing machines to the reformed women from this program and employ youth in our Textile Unit we are establishing” he added. His Counterpart in charge of Health and Sanitation Hon. Ruth Koech affirmed that the government has made a conscious decision to work with the church in most of her undertaking. She noted that majority of those abusing drugs and alcohol do so out of their psychological and mental challenges they go through in their life. “Drugs have a marked effect on the body and mind. If there were no effect, people would be unlikely to repeat the experience. No one sets out just to become addicted.” she said. 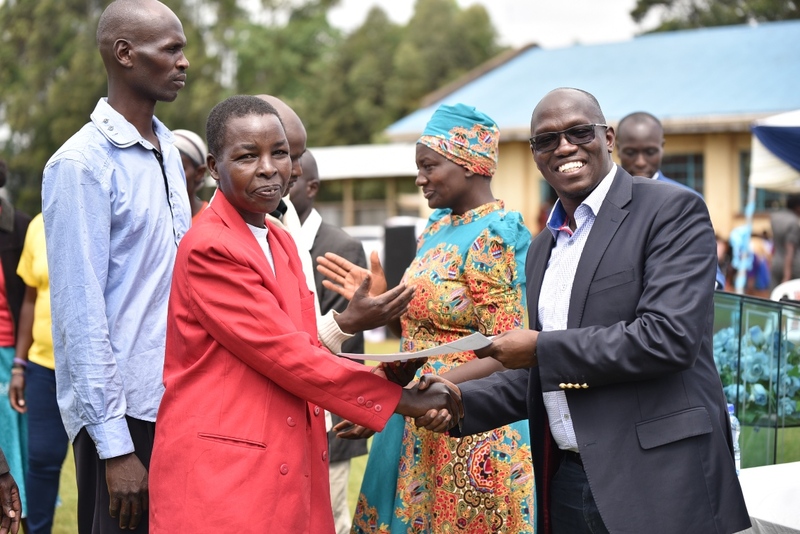 The church on their part through Pastor Christopher Misoi, the Executive Director of SDA’s Great Rift Valley Conference thanked the County Government for the generous support towards the program. He urged the delegates to live a worth life by quitting drug abuse and become ambassadors of new hope as they head back home. Over 140 reformists, young and old, who shared their testimonials and declared to live a new life were awarded with certificates having gone through training and mentorship.